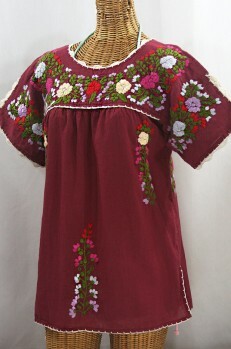 Our vintage Mexican-styled "La Primavera Top" short-sleeved peasant blouse features flowers artfully embroidered by hand. 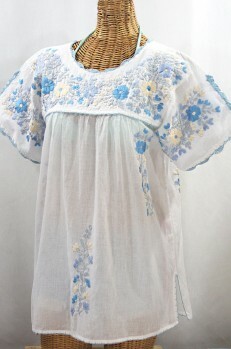 Made of light and airy 100% cotton fabric, "La Primavera" peasant tops feature crocheted "split" sleeves and are perfect apres surf & sun attire on hot summer days. 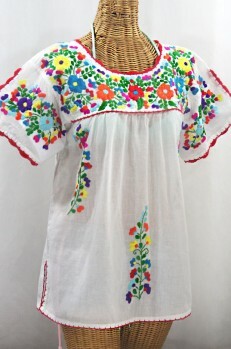 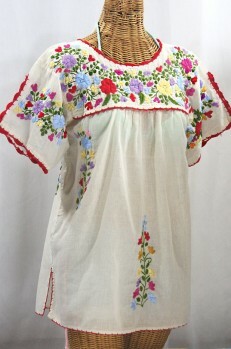 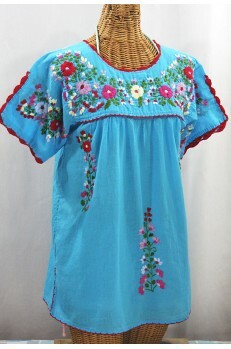 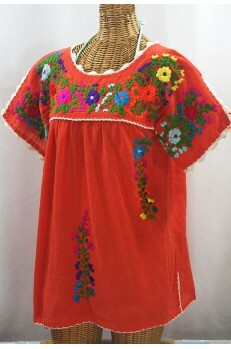 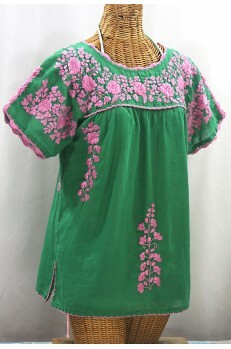 "La Primavera's" colorful and ornate flower pattern is a faithful tribute to the Oaxacan peasant blouses of the 1970's. 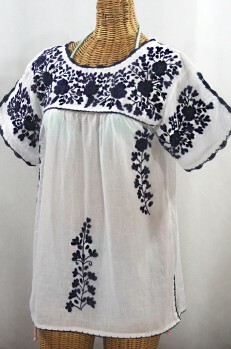 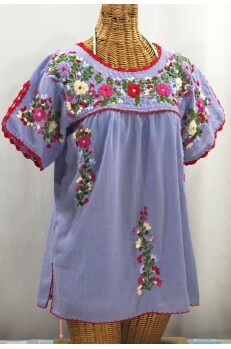 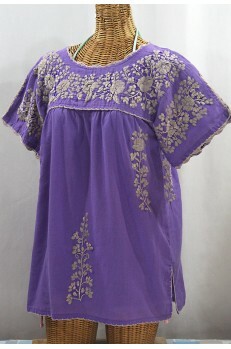 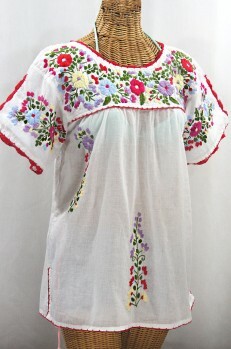 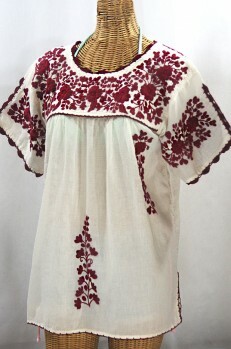 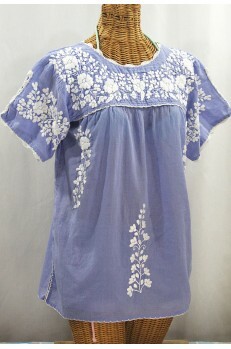 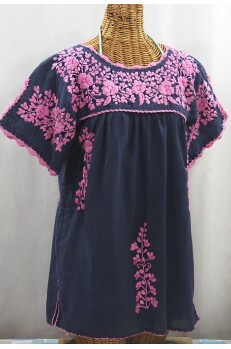 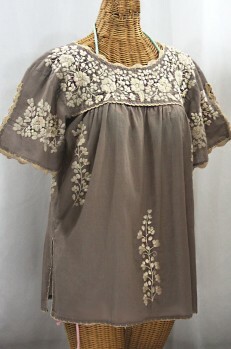 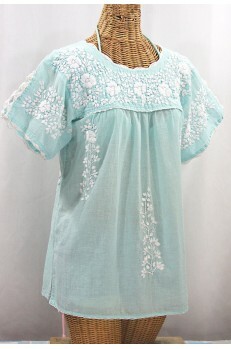 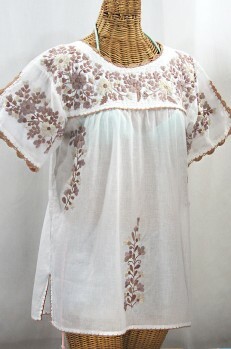 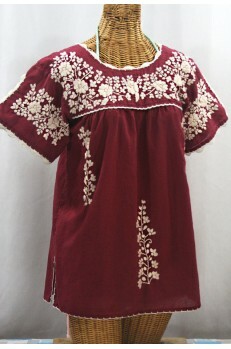 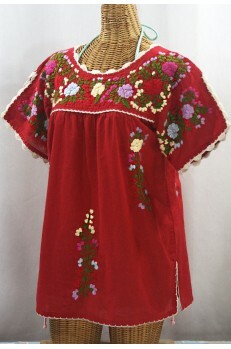 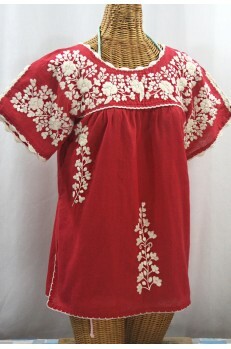 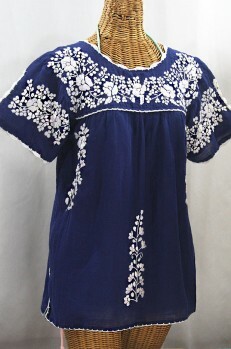 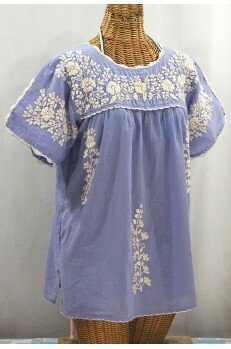 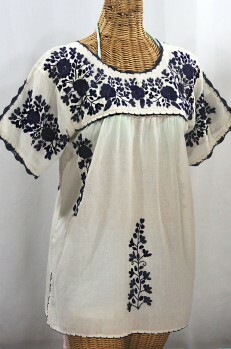 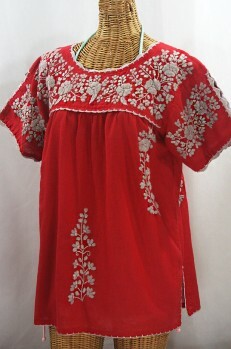 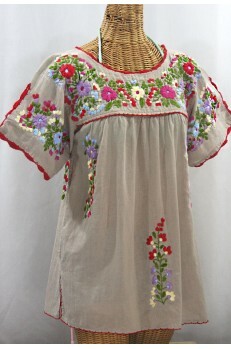 Each "La Primavera" peasant blouse is dyed, distressed and embroidered by hand making each a one-of-a-kind work of art.